I recently read The Dry by Jane Harper which is her debut novel. It has received many plaudits and praise for the quality of the writing. And it is the standard of her writing and the sheer power of the prose and the narrative that sets the novel apart. It was an immensely satisfying read that worked on many levels. It is set in the outback of Australia and unforgiving and harsh environment where the town of Kiewarra has seen its fair share of misfortune where the society is surviving but only just. When the wife and children of a Luke, a local farmer, are killed and he is then found dead in his ute the authorities immediately assume a murder/suicide. One of Luke’s oldest friends Aaron is a police officer and when he returns for the funeral he is drawn into the inquiry. Although Aaron is a reluctant participant as he specialises in financial and fraud cases so hardly an expert in murder inquiries and he is from a different police force. Where Jane Harper establishes her credentials as an accomplished writer is the way she weaves into the present day events the back story that haunts Aaron who was himself implicated in a murder as a teenager that involved Luke. The novel expertly takes the reader to the stifling small-town atmosphere and also evokes effectively the outback of Australia with his broken-dreams failed ambitions and small-town prejudices. 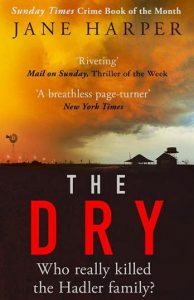 The Dry is also an accomplished crime novel more than anything with a mystery to be solved, a clear group of suspects and a driving sense that justice has to be served. 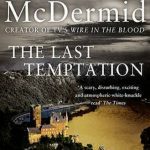 It is a tightly plotted novel that moves briskly with an underlying theme that is universal to us all of how and when do we reconcile the past and face its consequences in order to move forward with the future. Do not miss this novel. It is an immensely satisfying read where the characters imprint themselves on your mind.